As we know Kerala is on High alert due to viral attack caused by Nipah Virus(NiV). Checkout Symptoms, Prevention & Cure: Get to know all of it. 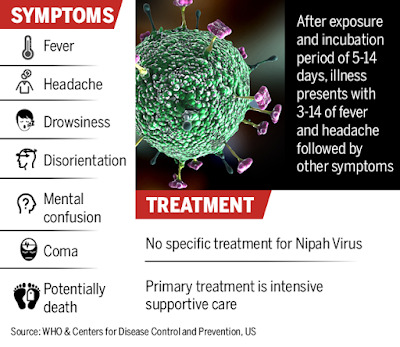 Question: What is Nipah Virus? 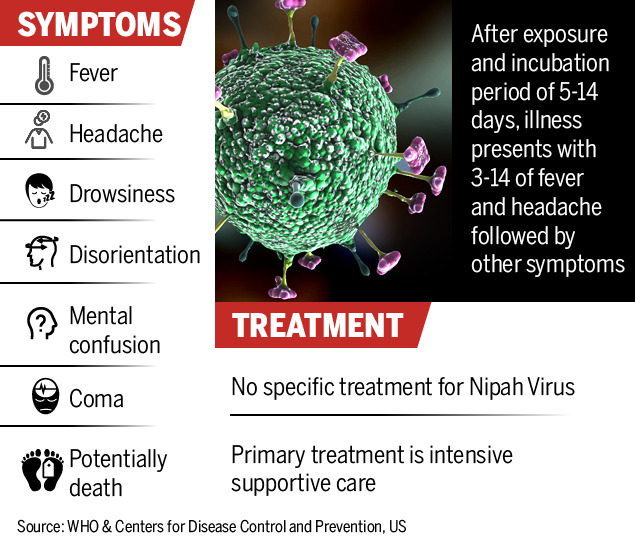 Answer: Nipah virus was initially discovered when it caused an outbreak of brain fever among pig farmers in Malaysia. Answer: A little. As it is transmitted from person to person and there is no effective antiviral therapy for this infection. Question: Who is at high risk and How is it transmitted? Answer: 1. People working with pigs and consuming pigs. 3. Consuming Fruits which are already bitten by the bat. Question: What are the early symptoms? Answer: The initial presentation is non-specific, characterized by the sudden onset of fever, headache, muscle pain, nausea, and vomiting. Neck rigidity and photophobia are also seen. The disease rapidly progresses, with deterioration in consciousness *leading to coma within five to seven days. Question: How is it diagnosed? Answer: The diagnosis is by ELISA which is currently done at National Institute of Virology, Pune. Question: How is it treated? Answer: Supportive care is the mainstay of treatment and infected patients may require intensive care monitoring. Question: How do we prevent it? Answer: 1. Avoid contact with pigs and pig handlers. 3. 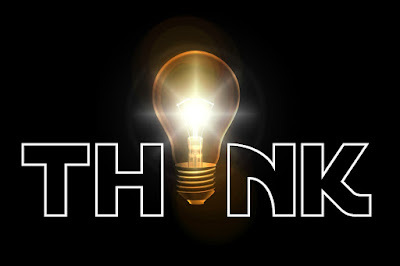 *Avoid consuming raw fruits,* Consume only well cooked, clean, homemade food till the outbreak settles down. 4. Preferably use the N95 mask while traveling or working in public places to avoid person to person transmission.